Our Cincinnati Bearcats 6x10 Foot Flag is made of 100% woven polyester, measures a huge 6'x10', has quad-stitched fly ends for durability, and two metal grommets. 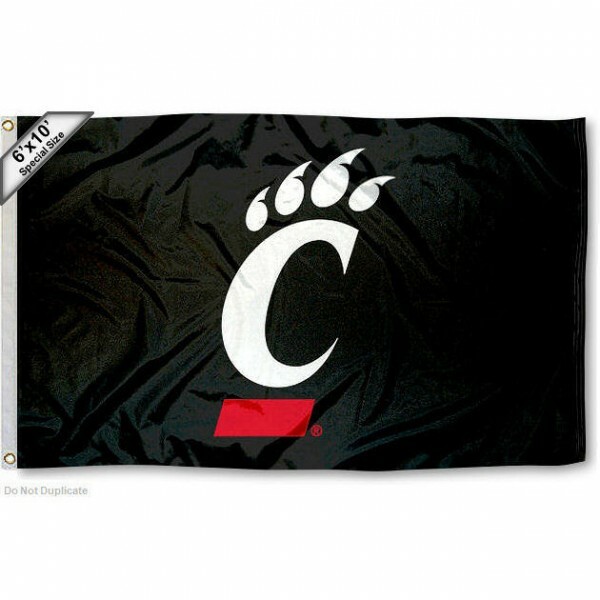 The Cincinnati Bearcats logos are screen printed into this flag which results in a 6x10 flag viewable from both sides with the opposite side being a reverse image. This monster flag is great for showing your team spirit by flying high from our 28 Ft Tailgate Flagpole or hanging from any wall.